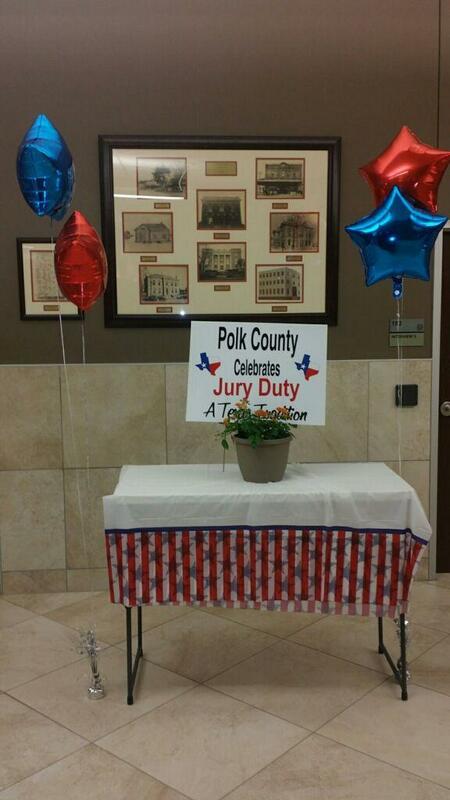 District Judge, Kaycee Jones and other Polk County Judicial personnel recognize Polk Countians in the Polk County Judicial Center on May 9, 2016. 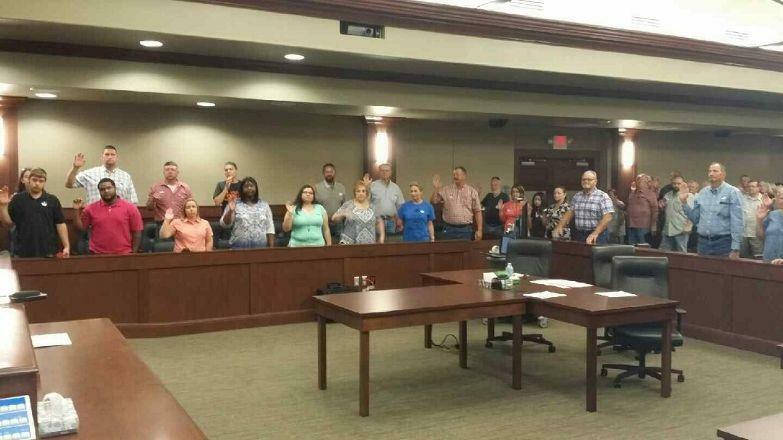 Polk County Jurors Recognized and Praised for Their Service, LIVINGSTON, May 10, 2016 - Monday, May 9, 2016 was the first juror appreciation day as prescribed by Senate Bill 565. 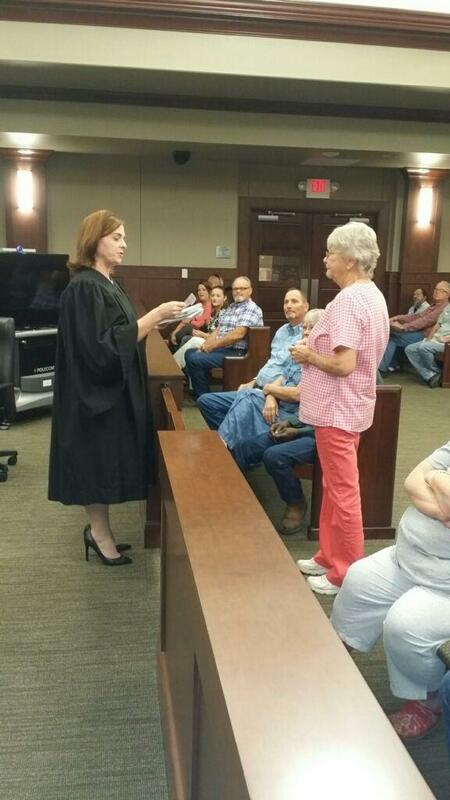 This was a courthouse wide event -- The District Clerk’s office, County Clerk’s office, Judge Kaycee Jones and her office, Judge Ernest McClendon and his office, Judge Tom Brown and his office, Judge Darrell Longino and his office and Judge Sydney Murphy all participated. 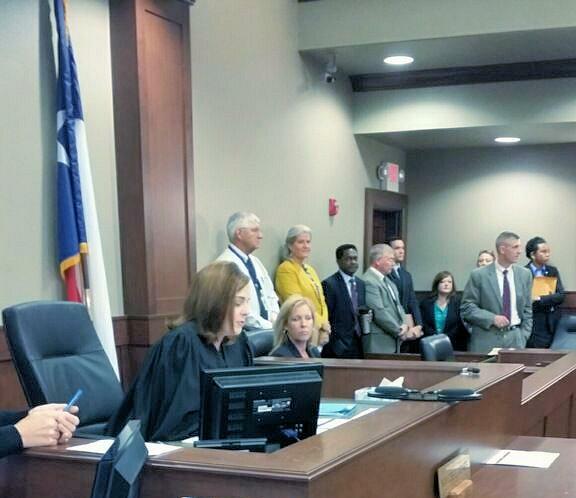 Judge Murphy read the Resolution passed by the Commissioners designating May 9 as Juror Appreciation Day. Jurors all received a “Jury Survival Kit” that contained candies and other goodies and a ticket for door prize drawings. The door prizes were $50.00 gift certificates to restaurants in the Polk County area (Big Jakes, Dickey’s BBQ, Hughes Catfish, Blue Duck, Patron and Farmhouse on the Lake). There was a $100 visa gift card for the big prize. These door prize items were donated by local attorneys. 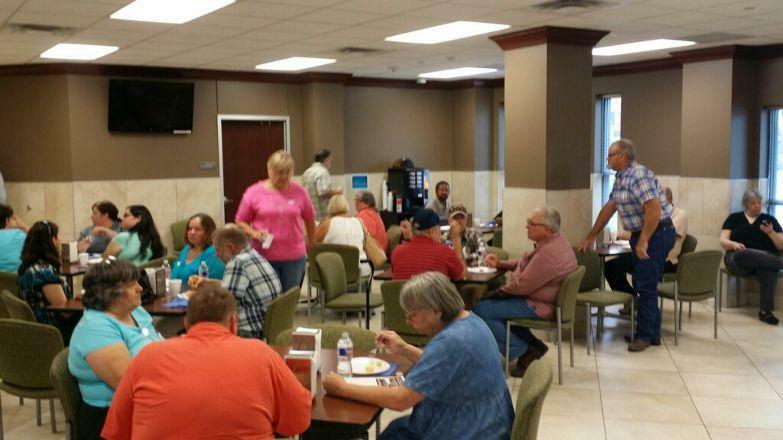 Breakfast was also served to the jurors. A good time was had by all. The event will take place again on May 9th of next year.